The fouling release film has been developed and produced on an industrial scale. It has been applied manually on small vessels, which has made it possible to test and confirm its fouling release properties. A semi-automatic prototype laminator has been designed and built, which has shown that automated application of the film on vertical substrates is possible under controlled conditions. A robotic solution enabling the laminator to move automatically along ship hulls in shipyard conditions is under development. The objectives of the eSHaRk innovation will be to finalize the development and testing of the film-based fouling release system and to make it fit for large-scale application. Optimize the film’s surface morphology, with a view to maximizing its drag reduction properties and increasing its positive impact on vessel fuel consumption – and GHG emissions – beyond what can be currently achieved using existing state-of-the-art fouling protection technologies. 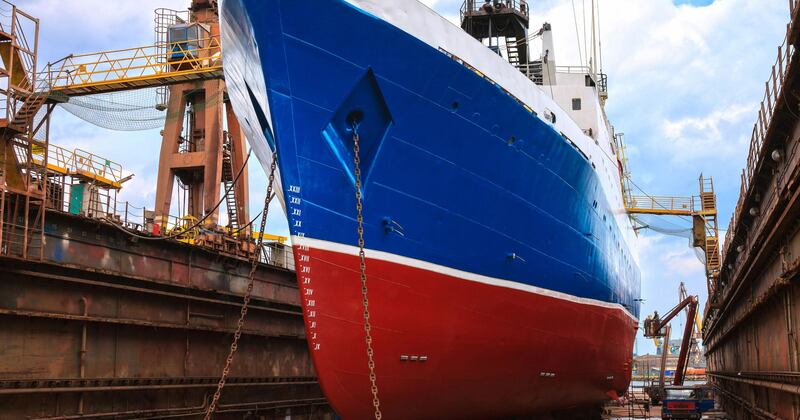 Fully automate the film application process for large commercial vessels in shipyard conditions, with a view to ensuring that this process can be efficient, safe, clean, and competitive with current application methods for paint based fouling protection products. Apply the film on a newly built vessel and test it in real seawater environment to confirm its robustness and durability. Pittsburgh, May 23, 2016 – PPG's (NYSE: PPG) protective and marine business has received EU Funding for an exciting new project which aims to produce an innovative fouling protection system for commercial vessels. Powered by EU-funding, a consortium consisting of the world’s leading marine experts and engineers are working together to create an innovative new fouling protection system for commercial seagoing vessels, and to accelerate its entry to market. This project is called eSHaRk (Eco-friendly Ship Hull film system with fouling release and fuel saving properties).